This free bulk image editing software is very easy to use. You just need to add all the images that you want to edit, and then choose the operation that you want to perform. 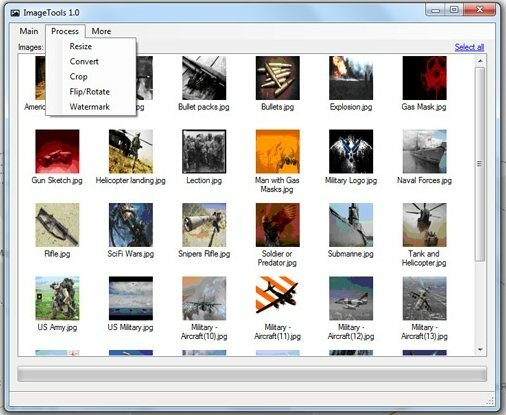 Some other batch image editors we reviewed earlier include MODI, batch image merge, batch image resizer, and batch photo editor. ImageTools comes with good memory management that ensures that it does not hogs your computer even when you are working with lot of images. Image Tools supports following image formats: BMP, GIF, JPEG, TIFF and PNG. Image Tools also provides option to create histogram of images. Download Image Tools free.